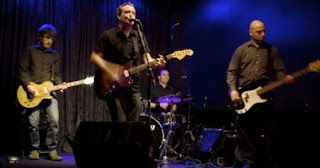 Head over to Martyrs' tonight, September 15, to check out Chicago rock and roll four-piece Split. The band will offer a limited edition 6-song EP exclusively available at the show. Split formed earlier this year, with members also playing or having played in bands such as Airlines-X, The Dyes, The Uncontrollable Few, The Sublets and The Loudness War. Gapers Block recently described the band as channeling "Lou Reed and The Stone Roses at times in a pleasant, not-so-strung-out way that would make for a perfectly suitable mid-week show at which one could enjoy a few beers and have a fine conversation with friends," and I'd say that's pretty spot on.